Eritreans have long said their capital Asmara is like no other city in Africa, and on Saturday the UN agreed, designating it a World Heritage site, says AFP. 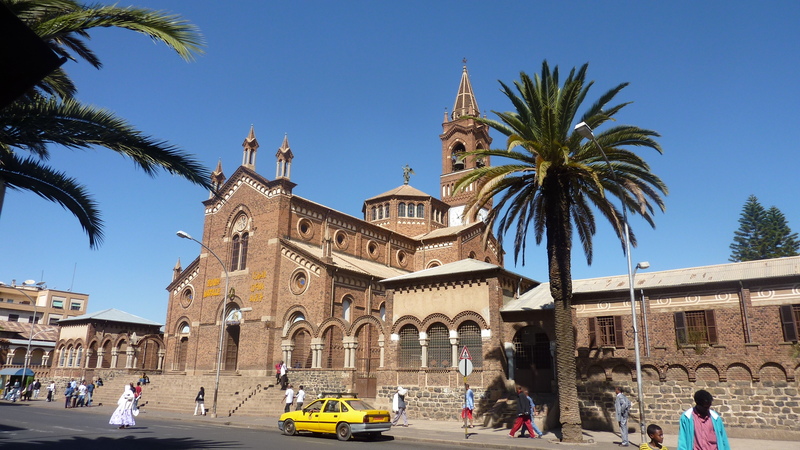 Asmara, the capital city of Eritrea has modernist architectural design built in late 19th and first half of 20th century. “The architects who designed these buildings were Italian, and the material with which these buildings were built were a combination of local materials and imported ones. However, the people who built these buildings were undoubtedly Eritrean, and despite the colonial imprint embedded in such buildings, Asmara has been incorporated into the Eritrean identity and their struggle for self- determination, thus being a symbol of pride and achievement for the Eritrean people,” says the Statement released by Eritrea’s Ministry of Information. It further said that the inscription of Asmara on to the World Heritage List will encourage and increase current Eritrean efforts to restore and maintain these buildings, as well as bring awareness to the world of this African modernist treasure. “The city’s recognition as a heritage site of outstanding universal value fills us with tremendous pride and joy, but also with a profound sense of responsibility and duty,” said Hanna Simon, Eritrea’s permanent delegate to UNESCO.